Ayurveda emphasizes prevention through self-awareness and addressing early signals of dis-ease. Join us to explore many of the health supportive self-care techniques from the ancient traditions of Ayurveda. Learn which tools and tips are most appropriate for your specific needs and leave with the confidence and motivation to use them on a regular basis. 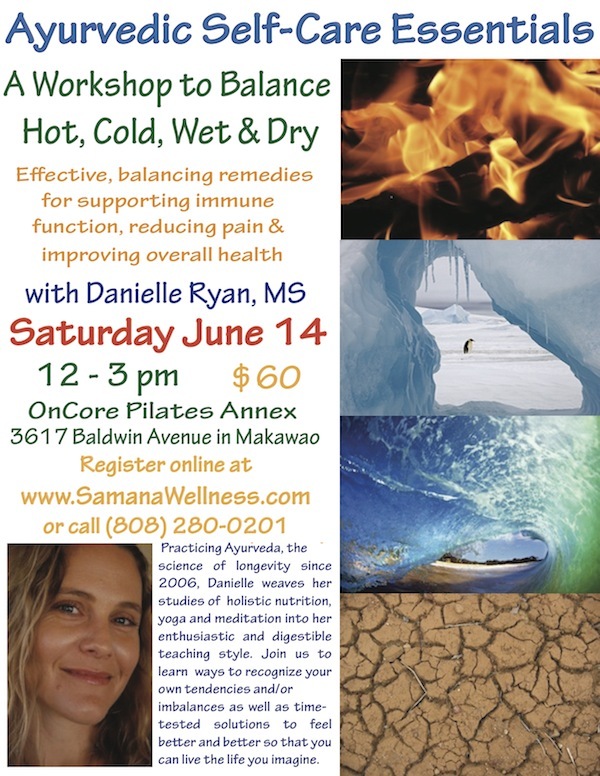 This workshop is appropriate for all levels of experience with Ayurveda and/or self-care.